Choose a name for it. 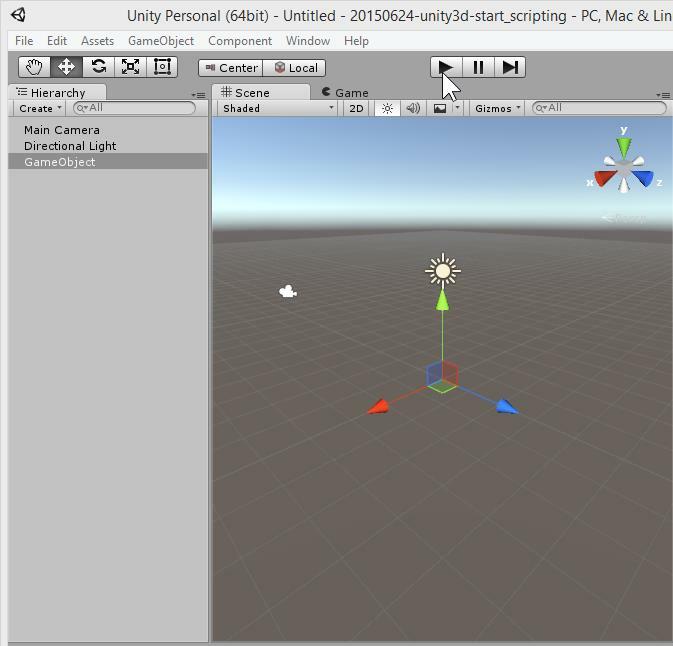 Unity3d needs at least one scene and a game object, to attach scripts on. And because it’s binary file, this can only be made only by using Unity3d SDK. 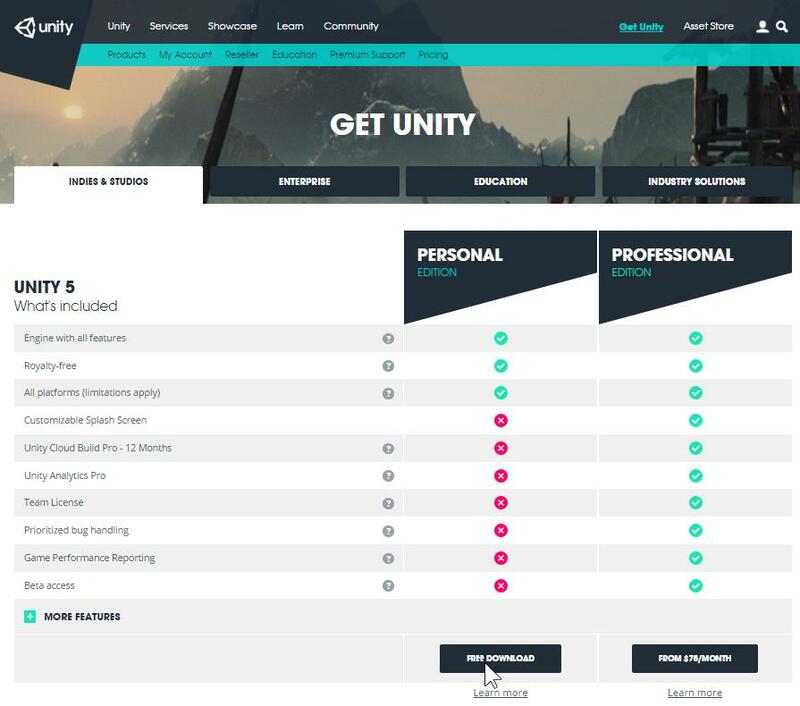 At this point, unity3d is launched with an empty scene. 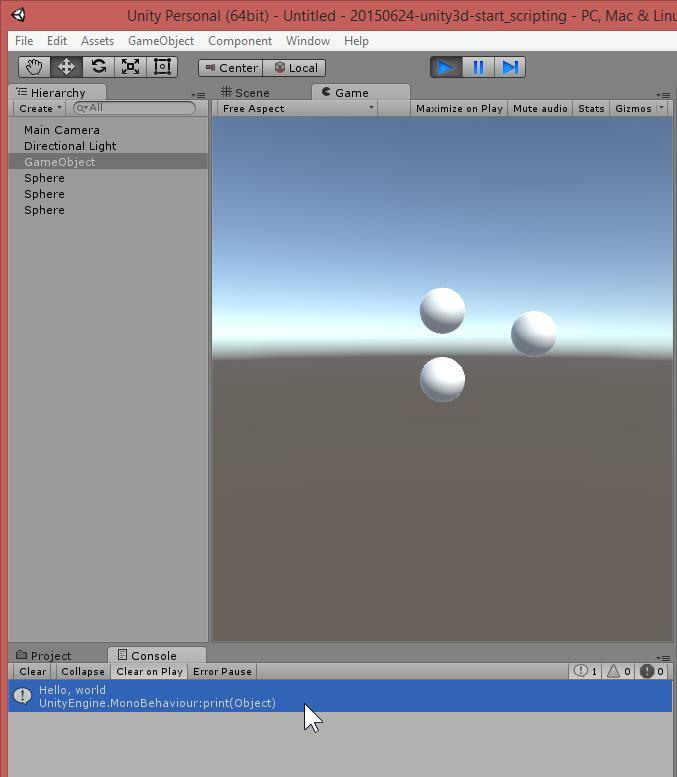 So create an empty game object. So select the new game object. At this point, Inspector view displays a new component form. Choose new script. Here is a new script ! When script is selected, the Inspector view display script content (source code). Right click on the script file in the Asset view. Choose Open. By default, a script has two function : start() and update(). Start function starts with the object, and so with the scene. 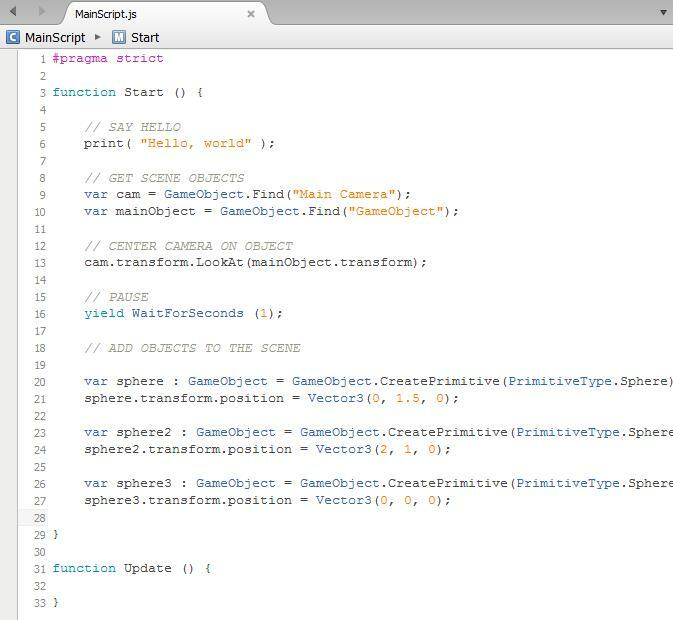 Add a little code to your script. 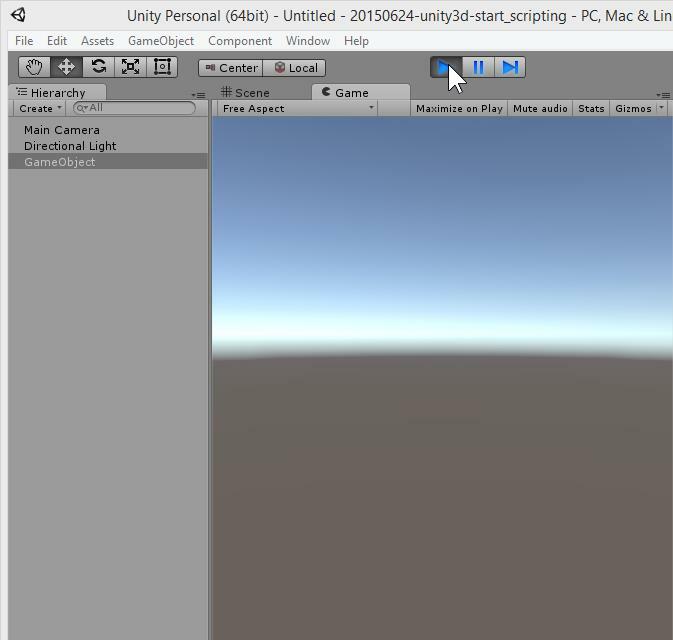 Open your Unity3d SDK and click on Play button. 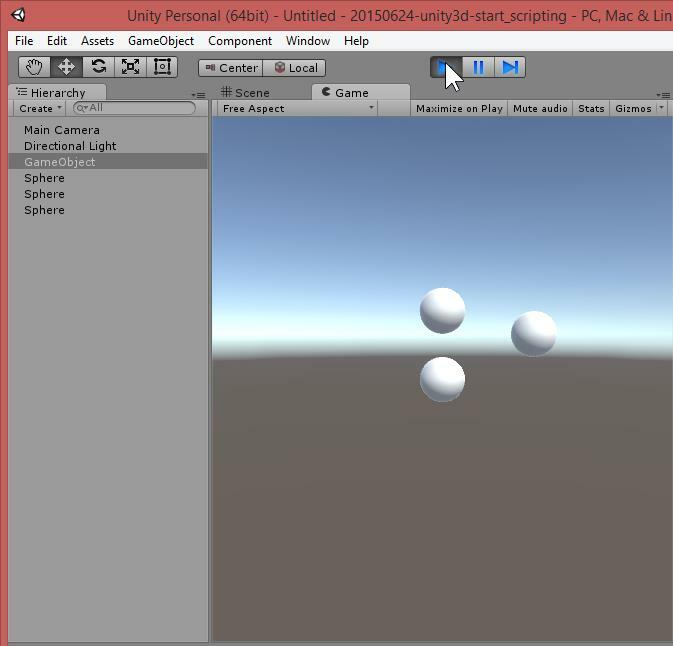 The demo add three new spheres to the scene. Then the demo print “Hello world” to the console. 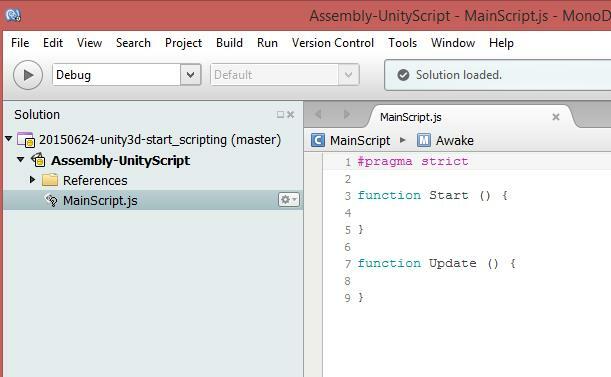 From there, you can start to script an entire project, without even open Unity3d (only for building). It’s an easier way for building game were programming is a core aspect of the project. Like with procedural generation level or reusable components. 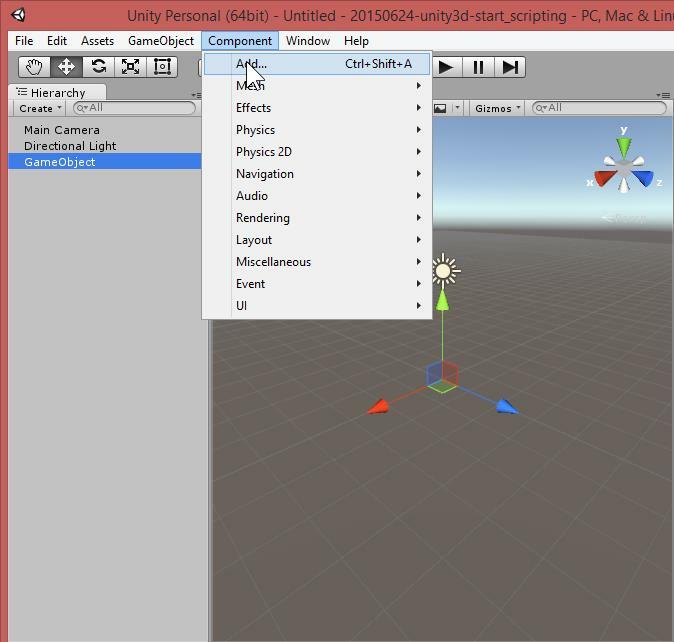 Or for those who are not familiar with a 3d software like Unity3d IDE. Tips : for a full scripting, remove default camera and light from the scene, and add them by scripting.